Manchester United winger Adnan Januzaj is reportedly considering switching his international allegiance from Belgium to Kosovo as he prepares to miss out on Euro 2016. According to The Sun, Januzaj is highly unlikely to make Belgium’s squad for the tournament in France after an awful season in which he has flopped at and away from Old Trafford. The 20-year-old was sent home from his loan spell at Borussia Dortmund in December because of a lack of desire, The Sun reports, and he has since featured only twice for United’s first team. This disappointment has probably put pay to his Euro 2016 hopes, and The Sun understands that his relationship with Belgium manager Marc Wilmots has completely broken down. The Sun adds that Januzaj will now try to exploit a FIFA loophole to instead represent Kosovo – the country of his birth – despite having already won six caps for Belgium’s senior side. 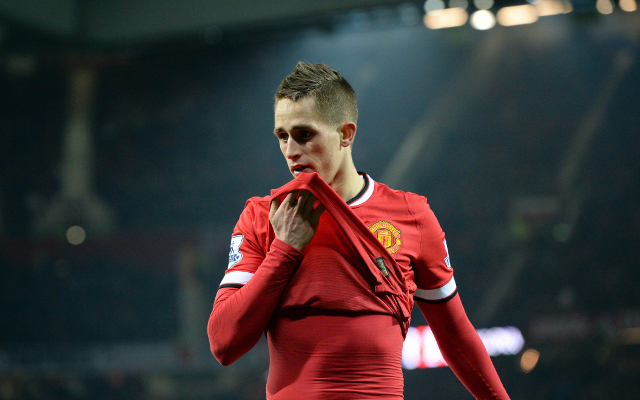 Januzaj has played competitive football for the Red Devils – in the 2014 World Cup no less – which would usually prevent switching nations, but could be eligible to play for Kosovo because they were not recognised as member by UEFA and FIFA at the time he elected to represent Belgium. The once-promising United youngster could previously have chosen to play for Serbia, Turkey or Albania, all of which are nations he is eligible for through his family, according to The Sun.